DOT Certified Truck Terminal now used as Bus Terminal and Repair Shop. 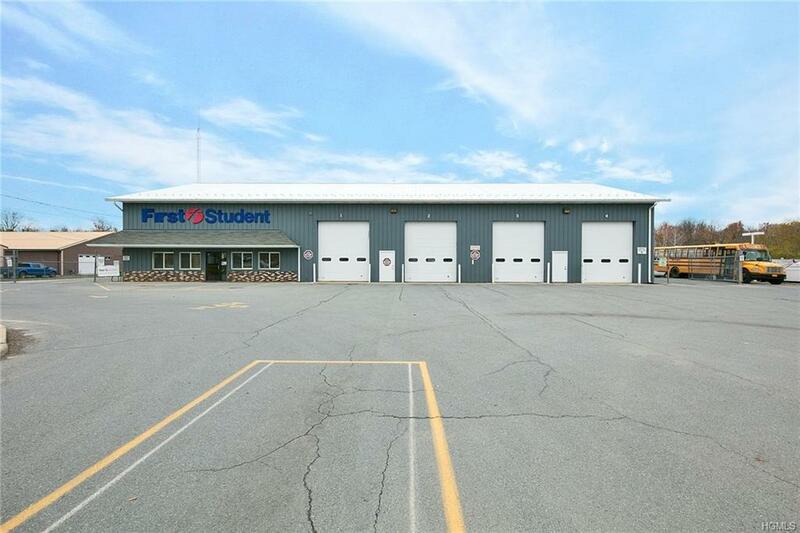 2 buildings on 2 acres, fenced and gated with two entrances providing 2 means of ingress and egress. 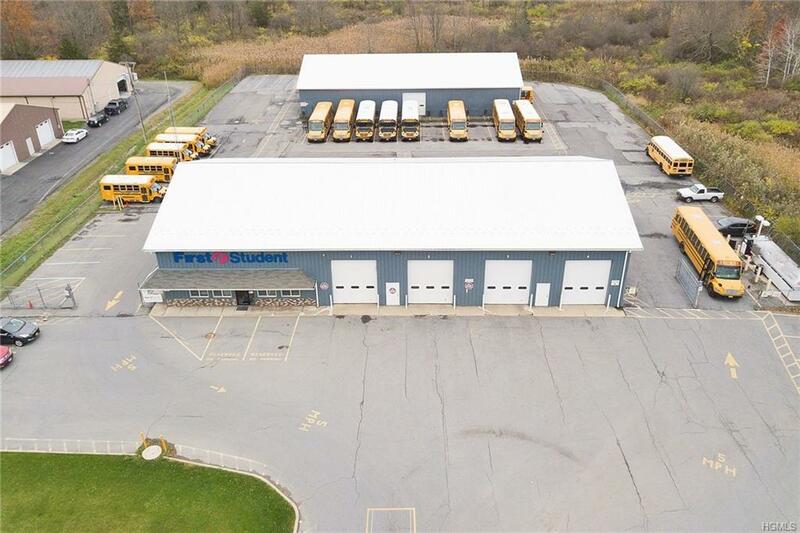 Property Improvements include: 8400 SF bus parking garage that is a metal structure, cement floor and in tandem 15 interior parking spaces for buses with open ends to drive through. 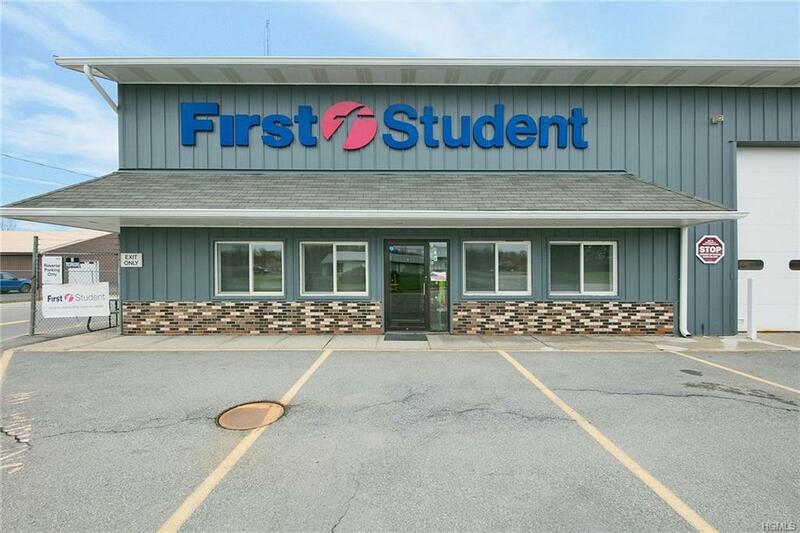 6780 SF Office/Repair Shop has 4 offices, 2 rest rooms, 4 bay garage with six 14' overhead doors and 16' floor to ceiling height. Separate Elec Service for each building that can supply lifts and heavy equipment. 4,000 gallon above ground Diesel Fuel tank has DEC storage certificate and emergency shut off. The exterior parking with 49 spots, 24 of these spaces for full size buses. 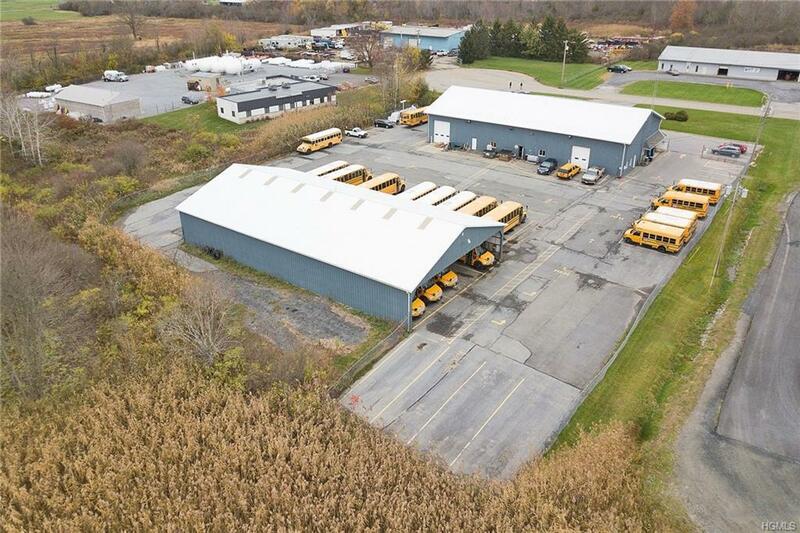 Equipment included: 2 Hydraulic lifts: Truck / Bus lift and Van lift; Waste Oil pump system; Fresh Motor Oil Tank in Containment area; full Ventilation system; Compressor system through out shop, Eye Wash station. Close to State Route 17/Interstate 86.